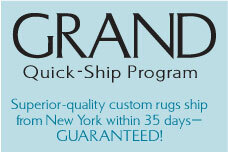 • We can customize any size rug in this program with no up-charge. 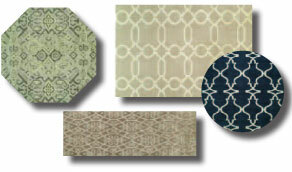 • All rugs available in a choice of 100% wool, a combination of wool & Silkette™ (bamboo silk) or 100% Silkette™. 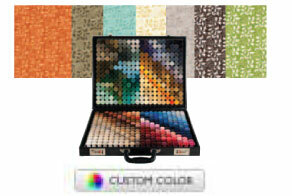 • Purchase 10 or more 2 x 3 display samples to qualify for the program. 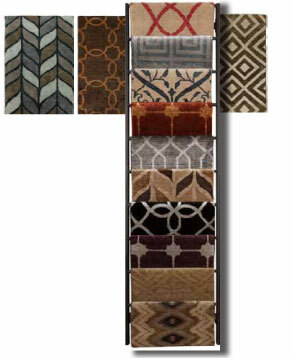 • When purchased in lots of 10 rugs, a sample waterfall display rack will be included with the 2 x 3 samples. 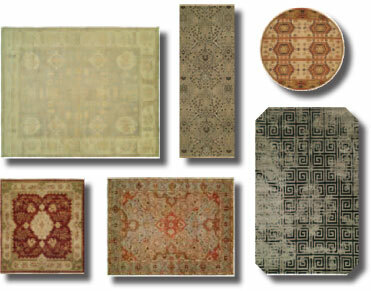 We offer custom sizes and shapes (runners, rounds, octagons, squares) in all of our extensive rug collections. Our vast array of designs ranges from traditional to transitional as well as contemporary in fashionable colors that work for virtually any home. Be sure to inquire about pricing and our fast lead times.